Who's the best pitcher you've ever seen play baseball? Between 1907 and 1929, many fans would have answered "The Big Train," Walter Johnson. Baseball great Walter Johnson died on December 10, 1946, at the age of 59, but he left behind an amazing legacy of records to beat. He scored more shutout victories (110) than any other major league pitcher. 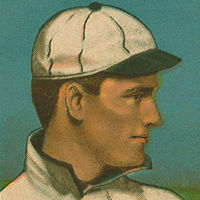 In 1913, he set a record for most consecutive scoreless innings, pitching 56 of them. His record stood for more than 50 years, until Don Drysdale beat it in 1968. Johnson's strikeout record (3,508) held until 1983. In all-time wins, Johnson is second only to Cy Young. What was this productive pitcher's secret weapon?